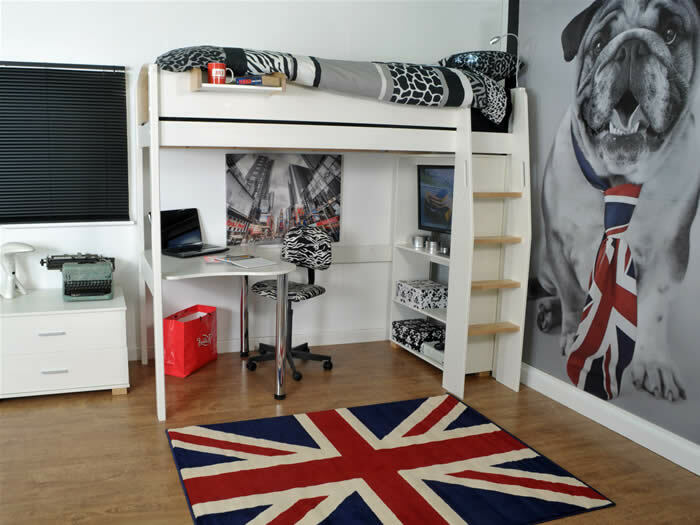 The Kids Avenue Urban high sleeper bed set 6 features a high shelving unit, reversible 2 leg desk and TV support bar. 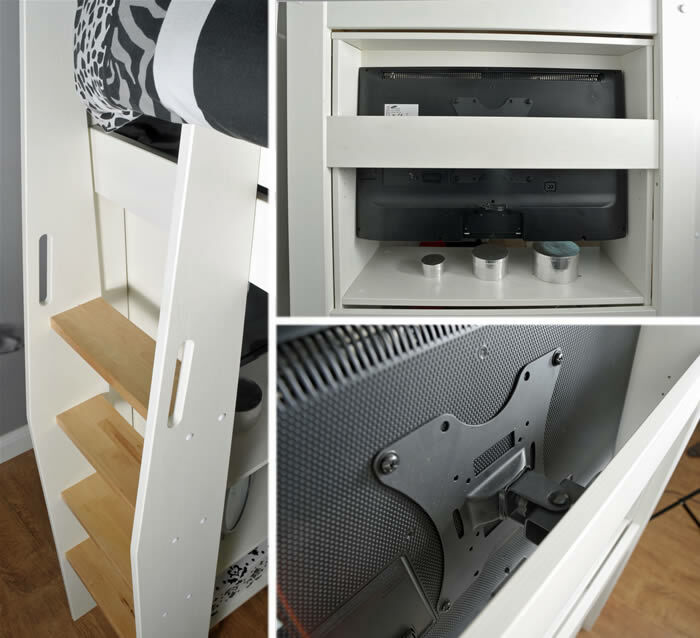 For access to the sleeping area a sturdy 4 step ladder is included, the ladder can be assembled to the front left or right sides of the bed. Made from solid pine in a white finish and natural birch the Urban high sleeper offers extended comfort by supporting a continental 90cm wide by 200cm long mattress. The provided TV support bar has a maximum weight capacity of 12kg, TV to support bar bracket not included.